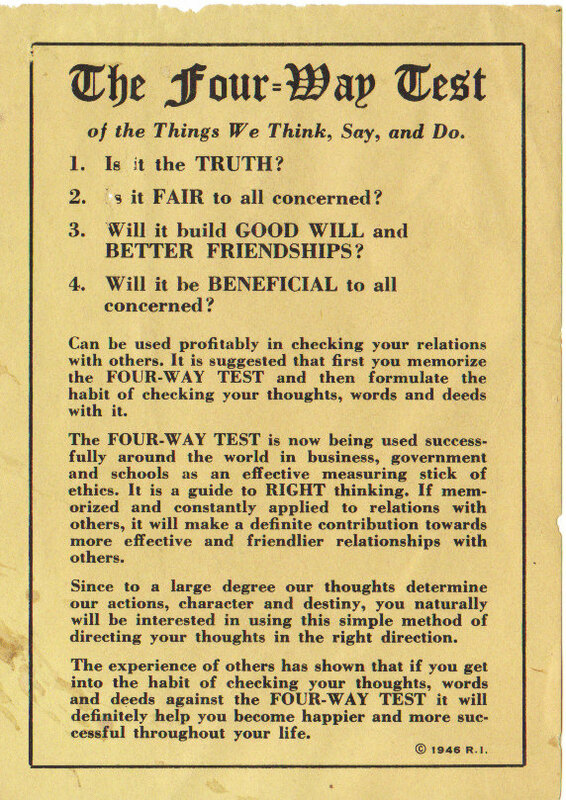 The Four-Way Test was created in 1932 by Herbert J. Taylor, who later became the Rotary International President. The test has been translated into more than 100 languages and is followed by Rotarians in their business and professional lives and is used by organizations and individuals throughout the world. The Four-Way Test has never ceased to be relevant and is a simple checklist for ethical behavior.